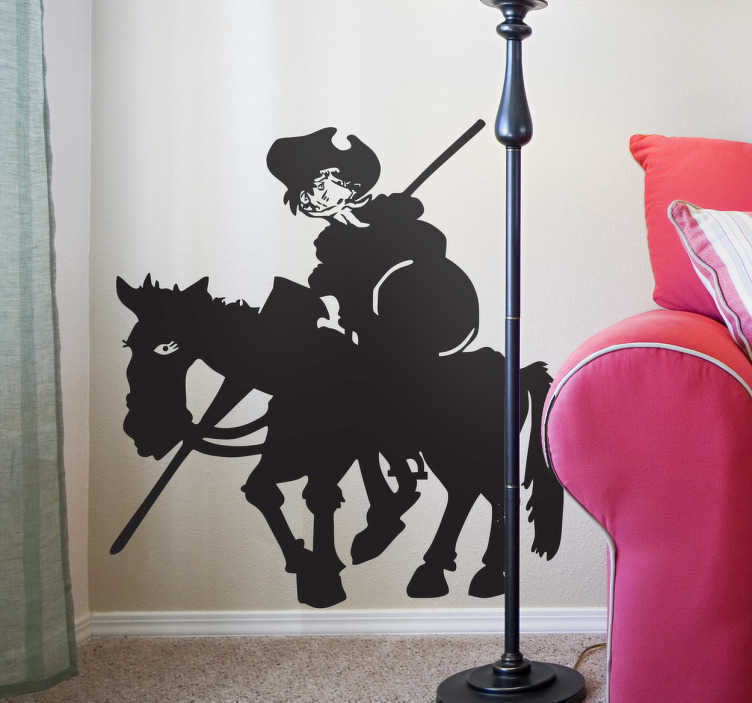 A creative and original silhouette decal illustrating the famous character in Cervantes's novel, Don Quixote and of course Rocinante. An ideal monochrome sticker for those that love literature and love this novel! Available in various colours and sizes.